That’s pretty lofty praise for a class of vehicle long known for its utilitarian nature. The birth of the minivan was based largely on functionality and the ability to move families from one place to the next. 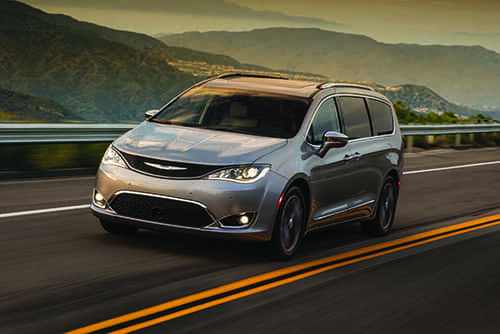 A lot has changed since Chrysler invented the minivan 35 years ago, including how competitive the minivan class has become. 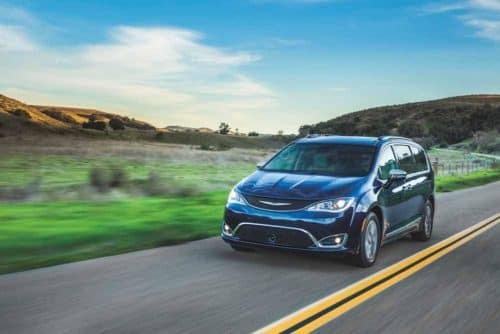 To make sure you are getting the best minivan, it’s important to ask how the Chrysler Pacifica compares to another well-known minivan, the Honda Odyssey. Let’s examine some key points that should help drive you to a decision on what minivan is best for your family. Both the Chrysler Pacifica and Honda Odyssey feature sliding doors standard on most trim levels. This feature comes in handy in tight parking spots and is helpful in preventing young passengers from swinging doors open too wide. Door openings can cause dings and damage to not only your minivan but other vehicles as well. Stow ’n Go seating is a unique feature to the Chrysler Pacifica. Most minivans offer a similar system to fold the third-row seat into the floor of the vehicle for additional storage. The Chrysler Pacifica is different in that it offers Stow ’n Go seating for the second row as well. This effectively transforms your minivan from a seven-passenger people-mover to a two-seat cargo van. The Honda Odyssey and other minivans can’t say the same, requiring owners to completely remove the second-row seat. Both the Chrysler Pacifica and the Honda Odyssey have a powerful V6 engine that provides authoritative power and acceleration so you can drive with confidence. Both minivans offer a combined 22 mpg. The big difference is that the Pacifica is available as a plug-in hybrid, making it the first plug-in hybrid minivan on the market. Each minivan received a top safety score from the National Highway Safety Administration and the Insurance Institute for Highway Safety. The Chrysler Pacifica includes a great feature to keep young drivers safe and give parents peace of mind. The top speed of the Chrysler Pacifica can be controlled by parents to limit how fast a son or daughter can drive the family minivan. Honda doesn’t offer a similar feature. The Chrysler Pacifica and Honda Odyssey feature the latest and greatest technology including Apple CarPlay and Android Auto but only the Pacifica offers a 360-degree camera and an automated parking system. The Pacifica starts at a slightly lower price of around $27K while the entry-level Honda Odyssey begins at $30K. Both the mid-range and highest trim levels of the Pacifica and its competitor are comparably priced at $38K and $48K respectively. Freedom Jeep Chrysler is the dealership in Killeen to find the perfect 2018 Chrysler Pacifica that meets all of your needs and exceeds all of your expectations for a minivan. Browse our inventory of the Chrysler Pacifica, schedule a test drive, and qualify for financing all on our website. We are proud to be a member of the Killeen community and serve the Central Texas area including Waco, Temple, Belton, and Harker Heights.